Living in the public eye means that celebrities have very little privacy. However, some celebrities try to keep their secrets hidden, and there are several who have gone to rehab for various addictions without a lot of people knowing about it. 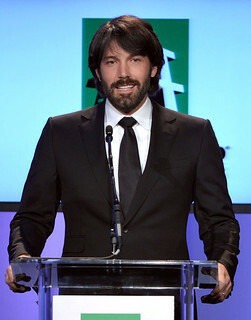 Ben Affleck is a family man, with a solid eight-year marriage to Jennifer Garner, and three children together. He gained fame after co-writing “Good Will Hunting” in 1997, which rocketed him to fame along with Matt Damon. In 2001, when Ben was 29 years old, he went to rehab for treatment for alcohol abuse. He has overcome this addiction and now is a great example of a success story. Drew Barrymore had a notoriously wild childhood, growing up in a famous Hollywood family, and attending parties, starting at a very young age. She became famous after her role in “E.T. the Extra-Terrestrial,” which Steven Spielberg directed. 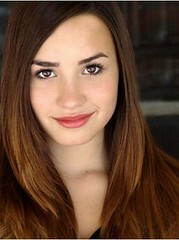 At age 13, she entered rehab for alcoholism, and cocaine abuse. She then returned the next year, and she was able to overcome her addictions in successful rehabs. Well known for starring roles in popular films, Eva Mendes dealt with her own issues in 2008. She checked into a rehab facility in Utah, notorious for housing Lindsay Lohan at the same time. Eva has not publicly discussed why she received treatment, but denies rumors that she was battling addiction to cocaine. Since then, she has continued her career as an actor, and has launched her own bedding, dinnerware, and fashion lines. Demi Moore struggled publicly with emotional issues following her divorce from fellow actor, Ashton Kutcher. In 2012, she went to the hospital after reportedly abusing inhalant drugs. Following that, she entered rehab for exhaustion, and other health issues. Since then, she has starred in several independent films. She was also nominated for two Golden Globe awards during her acting career. Gerard Butler stays out of the public eye, so it came as a surprise to fans when they heard he also went to rehab. Following a surfing accident in 2011, Gerard became reliant on prescription painkillers. He also talks openly about his battle with alcoholism. Robin Williams received treatment for cocaine addiction many years ago, but returned to rehab in 2006 for alcohol abuse. He had a close friendship with actor John Belushi, who died due to cocaine, and heroin use. Williams stated that this death, along with the birth of his first child, helped him realize the need to become sober. These actors have been able to overcome struggles, and gone on to continue with their successful careers and family relationships.